Six Flags Discovery Kingdom has announced their ROAR wooden coaster will be closing permanently on Sunday, August 16, 2015 for future expansion. Officials have not announced any plans for an attraction to replace the coaster. 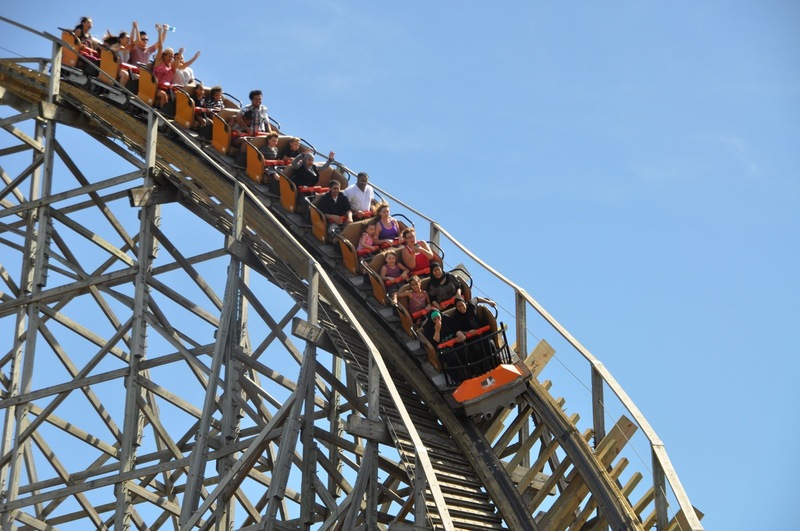 A special fond farewell to Roar will include a series of events for guests and Season Pass holders, the highlight of which will be a special last rider event coinciding with National Roller Coaster Day on August 16." This basically confirms that Roar will undergo an I-BOX Treatment into a steel hybrid coaster from Rocky Mountain Construction, along with the previous rumors we've heard earlier this year hinting to the same thing. Similar to coasters like the Iron Rattler at Six Flags Fiesta Texas in San Antonio, TX, the wood track from Roar will be stripped and new steel hybrid track will be placed on top to create an entirely new ride experience over the next few months after it closes. Sharp drops, over-banked turns, higher speeds, and inversions will surly transform this new hybrid version of Roar into one of, if not the best, coasters on the West Coast. We are very excited for our home park of Discovery Kingdom on the news, and can't wait for 2016! That's all for now from Theme Park Overload. We will be CLOSELY following our home park and ROAR over the next year, so make sure to "LIKE" our Facebook page to get the latest news and announcements delivered straight to your news feed! www.Facebook.com/ThemeParkOverload My name's Nicholous, and Thanks for Reading!